By (author) Starhawk , By (author) Etc. Commemorate a loved one by planting or donating a tree As a one-of-a-kind resource for people of many faiths and beliefs, Circle Round will be a beloved companion in your home for years to come. In our rushed, stressed society, it's sometimes difficult to spend meaningful time as a family. Now Starhawk, Diane Baker, and Anne Hill offer new ways to foster a sense of togetherness through celebrations that honor the sacredness of life and our Mother Earth. 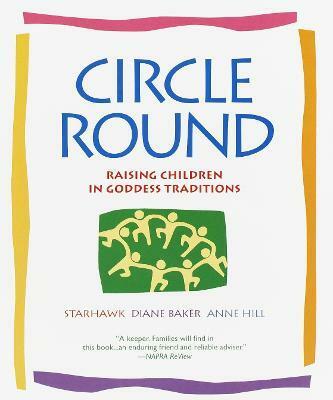 As a one-of-a-kind resource for people of many faiths and beliefs, Circle Round will be a beloved companion in your home for years to come. "A bountiful harvest...Families will find in this book...an enduring friend and reliable adviser." --NAPRA ReView "Wonderful...With the term 'family values' so carelessly tossed about these days, it's nice to read a book which so thoroughly demonstrates them." --The Roanoke Times "Clever, inspiring, and jam-packed with ideas." Starhawk, author of The Fifth Sacred Thing and Walking to Mercury, lives with her husband, step-children, and Goddess-children in San Francisco, where she works with the Reclaiming collective. Diane Baker, a writer, attorney, and co-founder of the Reclaiming collective, lives in Berkeley, California, with her husband and two daughters. Anne Hill, a teacher, writer, and musician, works with the Reclaiming collective and lives in Sebastopol, California, with her husband and three children.